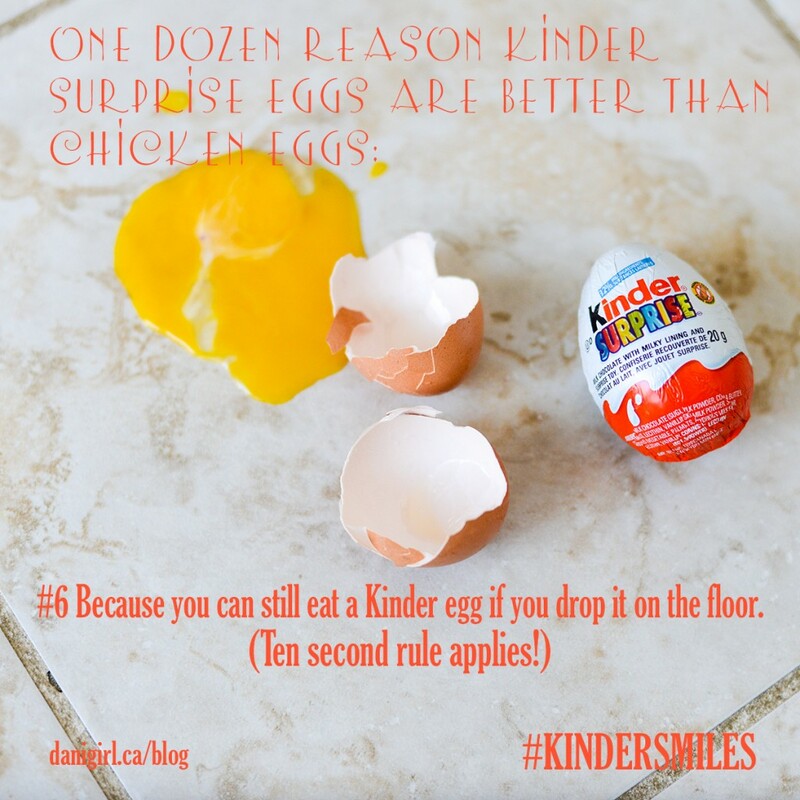 A dozen reasons Kinder eggs are better than chicken eggs — with bonus yolks, I mean jokes! Some blog posts are more fun to write than others, and I had WAY too much fun collaborating with Beloved and all three boys on this one. And then I had TWICE as much fun creating the visuals. 12. 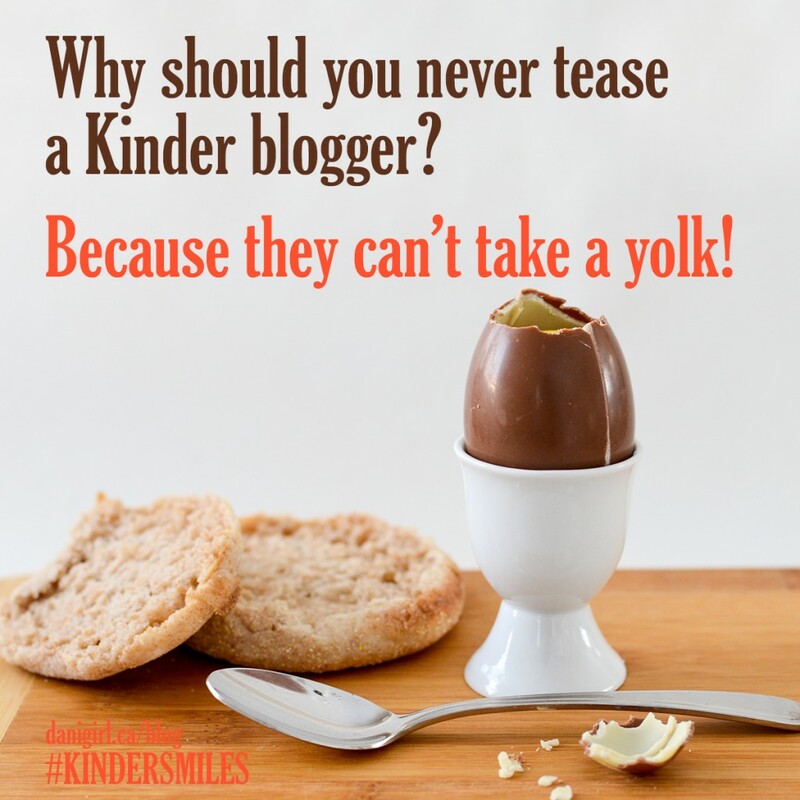 Because the white inside a Kinder Surprise egg is not slimy. 9. Because you can keep a Kinder Surprise egg stashed in your glove compartment or work desk drawer or other hidey hole and they won’t spoil. 8. Because a Kinder Surprise egg makes a much more compelling bribe reward than a chicken egg. 7. 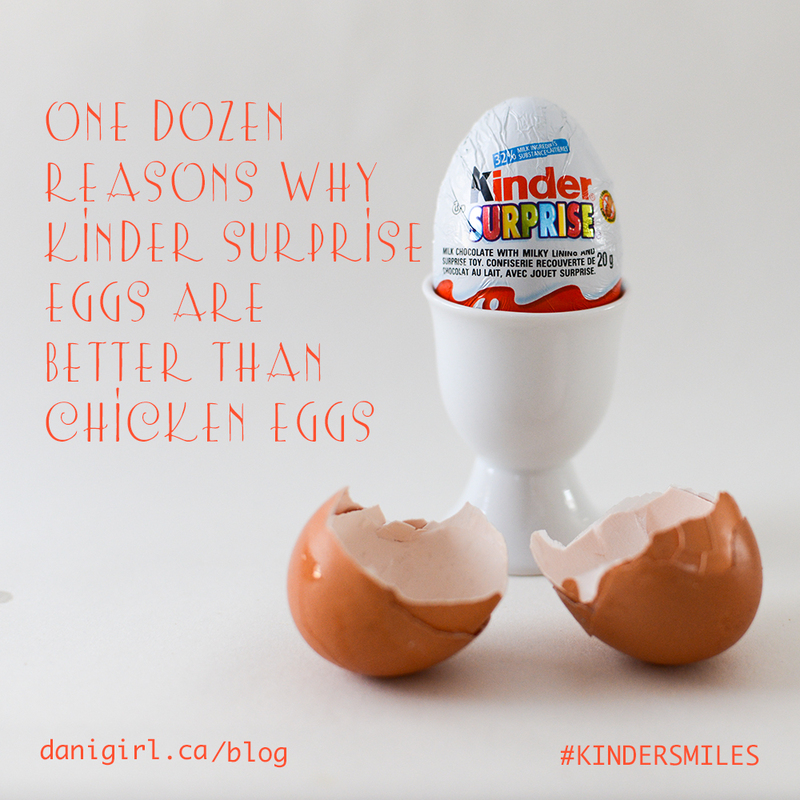 Because Kinder eggs don’t come from a chicken’s, um, chicken parts. 5. Because it’s easier to share a freshly unwrapped Kinder Surprise egg with your brothers than a freshly cracked raw chicken egg. 4. Because Kinder Surprise toys are more fun to play with than yolks. Seriously, it’s no yolk! Did someone say yolk, I mean joke? 3. Because you don’t have to cook a Kinder Surprise egg before you eat it. 2. Because you don’t have to spend five minutes trying to pick out slippery and evasive bits of shell when you unwrap a Kinder Surprise egg. And the number one reason why Kinder Surprise eggs are better than chicken eggs? BECAUSE THEY’RE CHOCOLATE!! What’s that? You want more jokes? Of course I have more jokes! 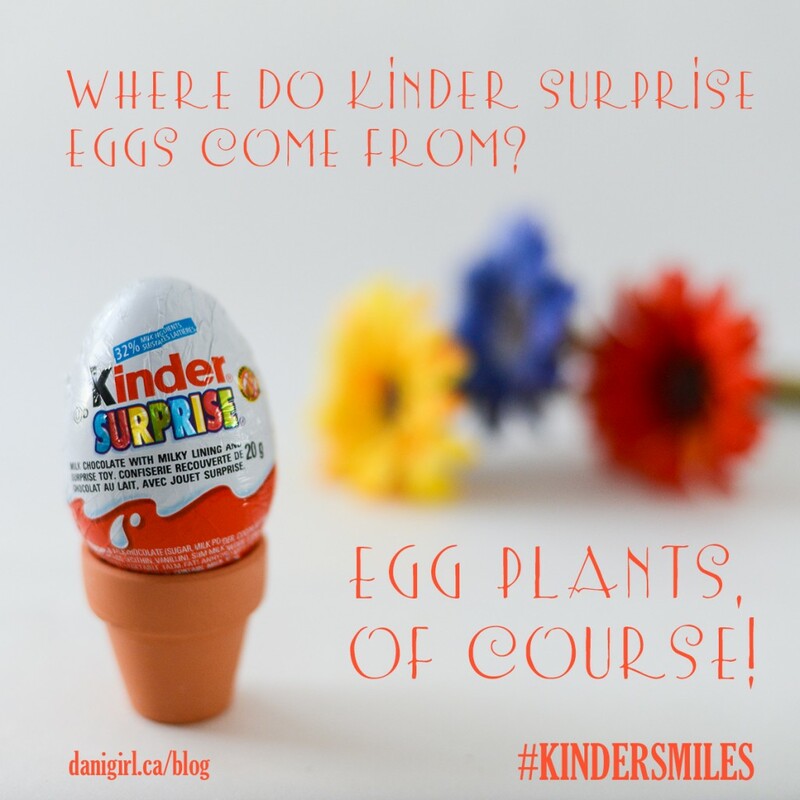 Craving a Kinder Surprise egg of your own? Who could blame you! If you aren’t already, follow Kinder Canada on Facebook, because they’ll be celebrating Games and Puzzle Week from January 26 to 30 with prizes and giveaways! DISCLOSURE: This post was not endorsed by chickens. 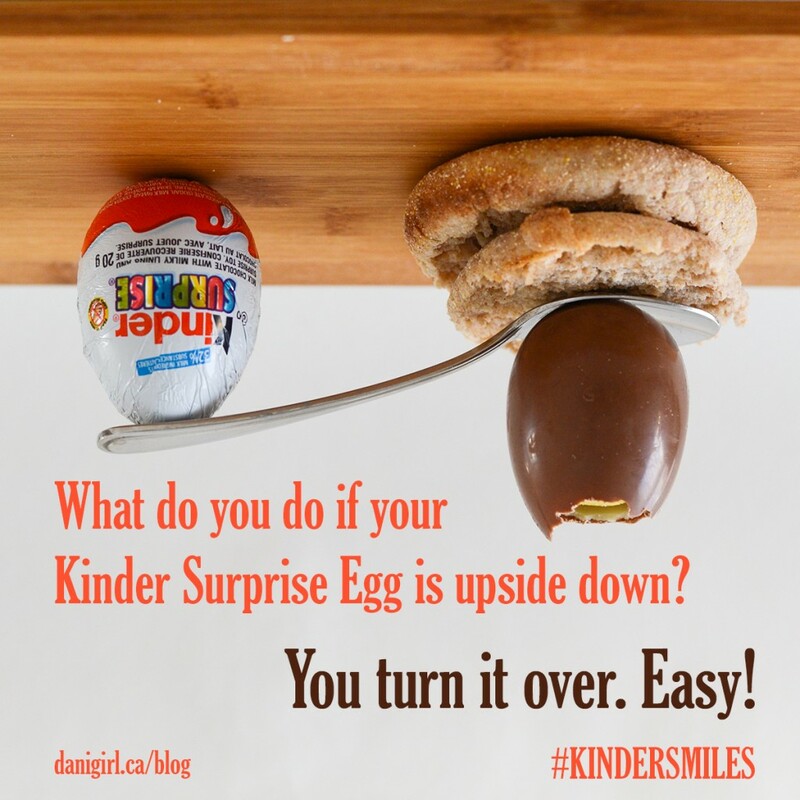 Also, I’m a #KinderMom who is part of the KINDER® Canada influencer team. 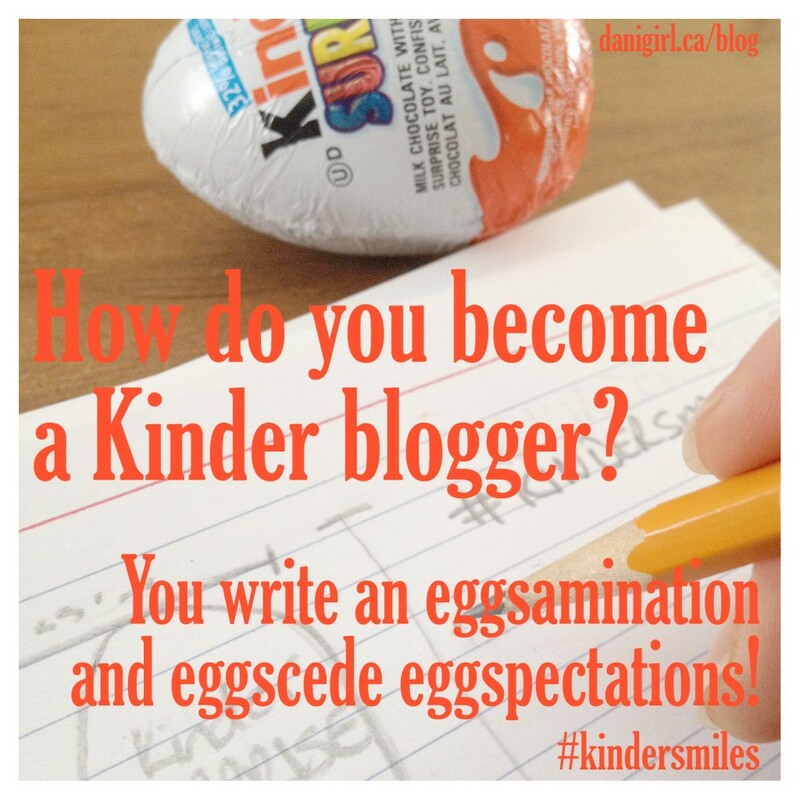 As part of my affiliation with KINDER® Canada, I am provided with special perks and products. All thoughts, opinions and horrific exquisite puns are my own. Previous post: Flashback faves: Is this my life?